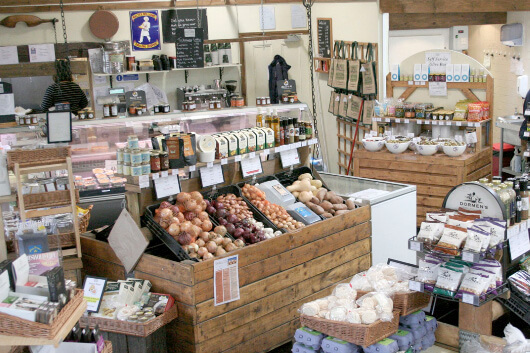 Wotton Farm Shop is an established, family run business offering the very best in local, fresh, seasonal produce combined with a friendly, personal service. For a growing independent business, the Christmas trade is vital to annual profits. Hiring extra cold storage for seasonal peaks in demand means doing a lot more business when it counts. Ease of use and flexibility of the service are absolutely key and there’s no substitute for helpful guidance and advice along the way. With many years’ of refrigeration experience, Team Refrigeration has been able to support Paul and his team throughout these busy periods – delivering extra cold storage capacity to the shop as and when required. With a range in cold storage options, Team Refrigeration were also able to recommend and provide increasing cold storage capacity as the business has developed. So while a refrigerated trailer was perfect for their initial extra capacity, more recently they’ve been able to double their extra capacity using a refrigerated container.